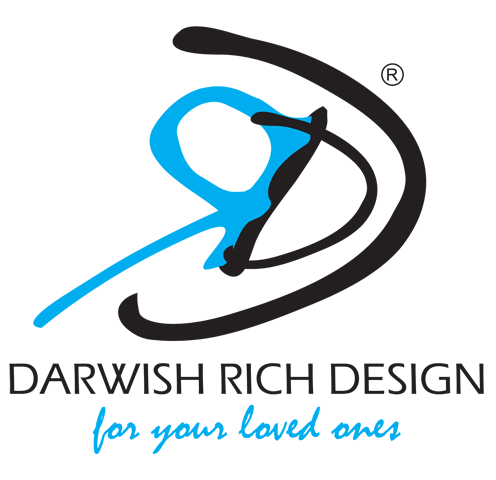 Please choose Sampin design 1 (checkers) OR 2 (diamond) and write in remark/comment. We will notify if the stock is no longer available. 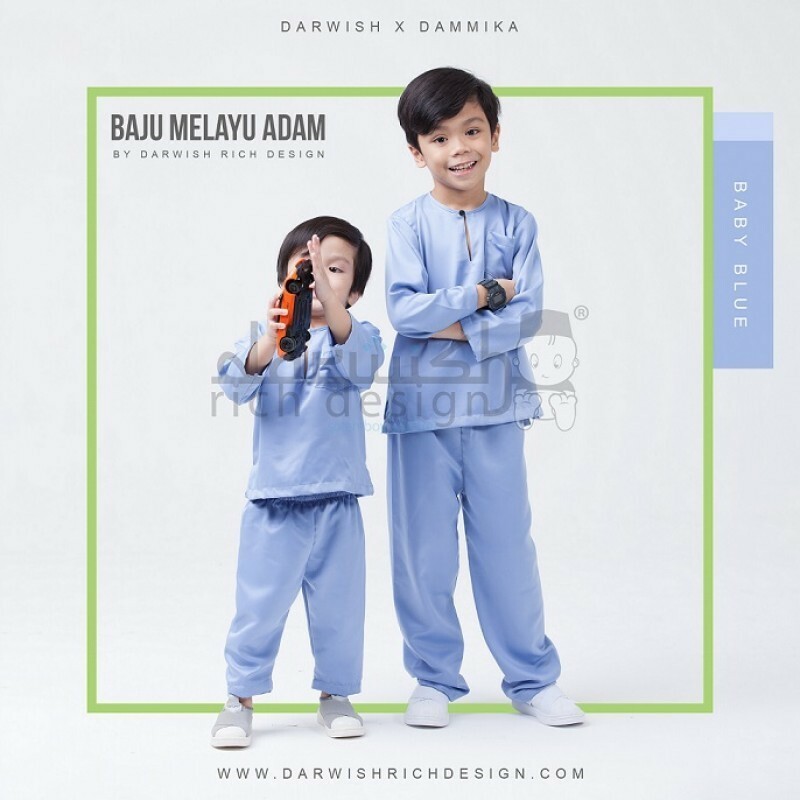 For a look that transcends time,culture and modern, Darwish Rich Design Wear’s version of the little man’s BAJU MELAYU set is a MUSTHAVE in your kids wardrobe. Teluk Belanga Soft Round neck collar and rubber waist for the bottom will make your baby & kids stay comfortable in it. 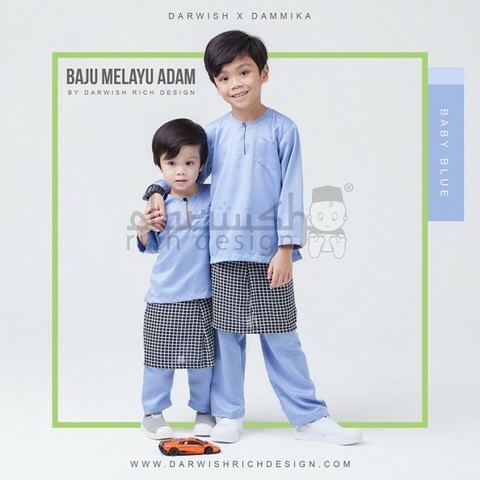 This Baju Melayu Adam suits all formal occasion like Majlis Aqiqah, Cukur Jambul or Hari Raya. It also can be wear in any informal occasion.